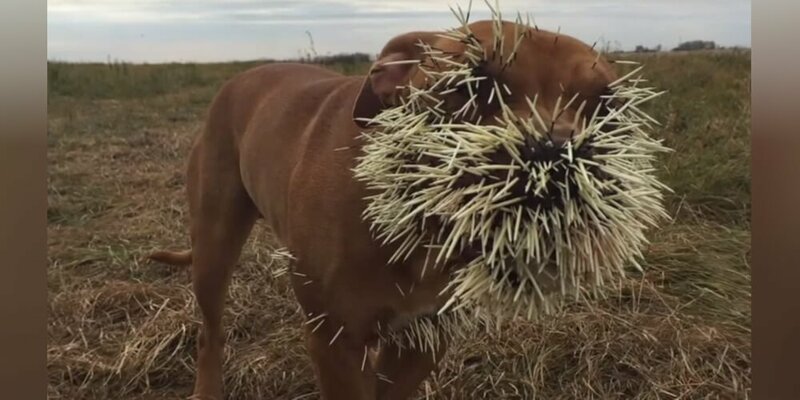 When this dog encountered a porcupine in Craven, Saskatchewan, the worst thing possible ended up happening. He was sprayed with needles. Not just that, but they ended up landing all over his face. Turns out that Mahalo was simply playing outside with his doggy friends Nestah and Soljah, when this happened. 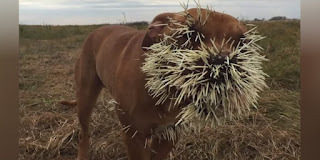 They suddenly came across a very ornery porcupine. Right away the porcupine let loose. Quill after quill shot towards all three dogs. Mahalo took the worst of it all.Extreme surgery was required to get all of the many needles out of the poor animal. Needless to say, this rang up an expensive vet bill to the amount of a whopping $8,000. A GoFundme page was set up both for her and the other dogs that needed treatment. They amazingly raised almost double the amount – $15,272! Mahalo, Nestah, and Soljah, are still recovering from the injuries and will hopefully be able to pounce around and play with one another soon!